Pra Somdej Pim Prok Po Yai (Naga Canopy) Uposatha Shrineroom Buddha Meditating on three tiered Divine Dais (Thaan Pha Tip) preferred block press (Niyom). 'Nuea Pong Kru' (white Sacred Muan Sarn Powders) this is a Jumbo model measuring 5 x 3.2 Cm. 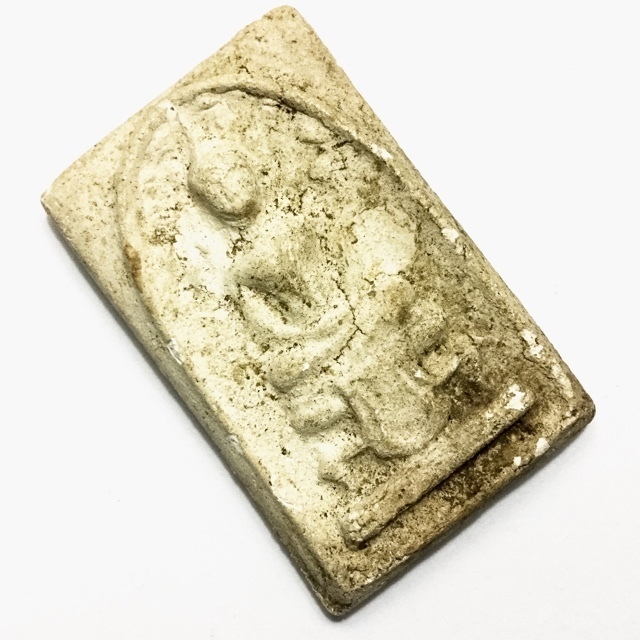 The Pra Somdej Prok Po Pim Yai Thaan Pha Tip is an extremely rare amulet to find of the Pantheon of Luang Por Guay. This model is immensely sought after with the devotees of Luang Por Guay. The 'Nuea Ha' (visual content) of this amulet is easily seen to be comparable to the Muan Sarn Sacred Powders of the Pra Somdej Hlang Roop Muean first edition Somdej (with Luang Por Guay on rear face). The powders are visibly pure and rich in Puttakun Powders in both editions. Extremely rare and highly favoured by the Devotees of Luang Por Guay, the Pra Somdej Pim Prok Po Yai Hlang Riab had different versions, because mostly, Luang Por Guay would press this model from various Pra Somdej models which he would take to create new block presses, as he visited different temples to attend empowerment ceremonies and chant the Buddha Abhiseka. But this model in Jumbo size with these particular features is a prized and highly preferred model. 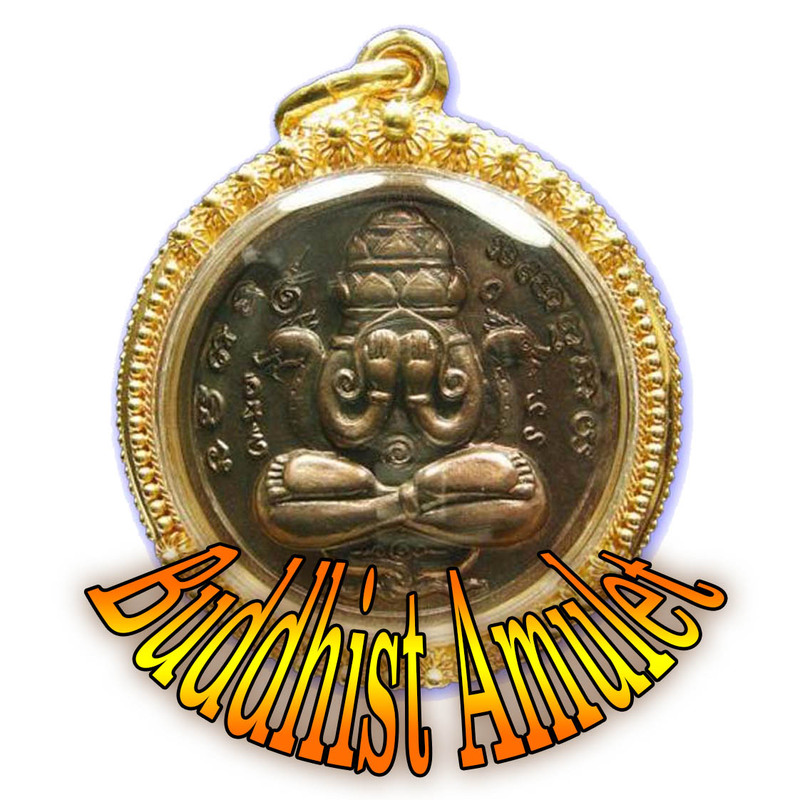 Even an expert and avid collector, could not expect to see more than ten of these particular amulet in a lifetime of amulet collection. Either side of the Buddha, are Leaves falling downwards from the Bodhi tree, showering the Buddha in his moment of Enlightenment. The rear face shows the amulet to have been placed in Kru storage within a Chedi Stupa for some years before its distribution (a common practice). 1. Pong Puttakun (white), 2. Pong Nam Man (Yellow-Beige Oily texture), 3. Pong Pasom Bailan (Black Parchment Powders), and 4. Nuea Daeng (red Eearthen and Herbal Powders). 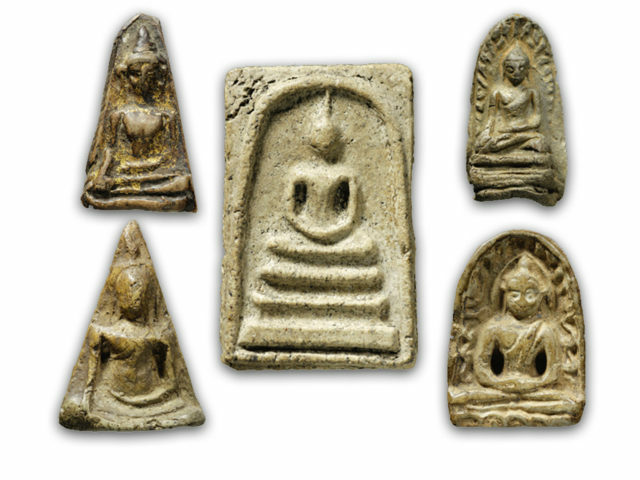 The Pra Somdej amulets of Luang Por Guay featured many different design models depending on which temple Luang Por Guay had taken the original design from to make the block press mold, as he would use a large variety of different block presses. 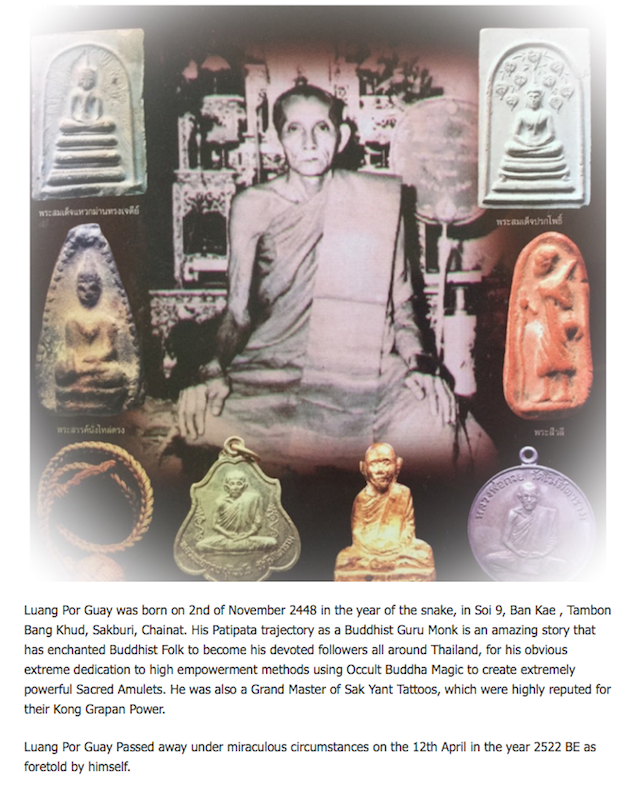 Luang Por Guay's amulets have reached the highest level of respect and collectorship in their history, and are considered to have noticeable effects, that are felt by everybody who owns and wears one of his amulets. In addition, he would perform empowerments during the various 'Reuks' (Astrological Influentian moments), to bring total coverage of protection and fortuitous blessings to all who might wear and Bucha his amulets. These 'Reuks', were namely the 'Reuks Mongkol' Buddhist Auspicious alignments, the 'Reuks Jone' (Gangster Alignments) Inauspicious Alignments, and the 'Reuks Bun Paya Marn' Demonic Influential Alignments.